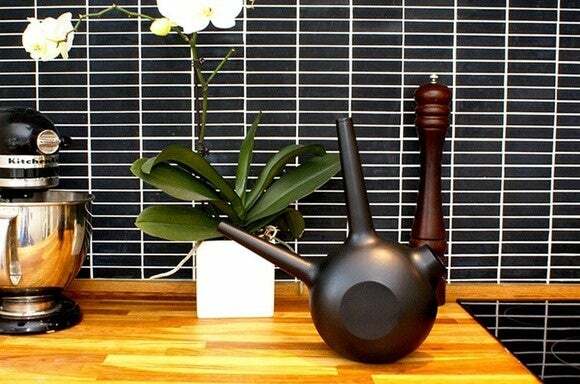 You can tell the Internet of Things (IoT) revolution is truly beginning to take root (pun intended) when a smart, connected watering can shows up on a popular crowdfunding platform. Developed by a Swedish team “with solid experience within product development,” the Bluetooth LE-enabled Freiya monitors your plants and pings you when it’s time for them to be supplied with water or fertilizer. These reminders are said to be based on a slew of criteria, including species, type of pot, temperature, in-house location, and weather. The Freiya’s developers say the watering can has the smarts to sense when you water a plant and how much you water it (based on motion-sensor data), as well as what temperature it is. The notifications are delivered straight to your smartphone using the companion app, which contains an extensive database of plants and watering guidelines. The Freiya app can be used to share data with family and friends should you want to delegate your plant-care duties. Its developers think that its far-out design has a certain sculptural quality that makes the bicorned container a perfect fit for any modern home, and we agree. Six days into its Kickstarter campaign, Freiya has received pledges of slightly more than $6,000 and has around seven weeks to reach its $48,000 goal. Right now you can snag the 1.5-liter smart watering can for as low as $69, a discount of more than 40 percent over its suggested retail price of $119. Why this matters : These are not the first stirrings of the IoT revolution in the gardening space. Back in January, French drone maker Parrot unveiled aself-watering smart pot and a connected plant sensor at CES in Las Vegas. Based on these recent developments, it appears as though killing plants through neglect will soon be quite a feat—a win-win for both man and plant.